The AIMN has obtained a copy of a draft proposal circulating the Coalition party machine. In an attempt to better use available resources, state and local governments will be abolished. All federal and state ministries, departments, advisory bodies, and their employees, will be coalesced into one organisation known as the Ministry for Misinformation and Wealth Protection (MMaWP). It is estimated that this will eventually result in one million redundancies which will come from, as far as possible, natural attrition. Retraining as spin doctors will be available to those with a penchant for prevarication. Others will join a mobile workforce to be deployed wherever the mining or agricultural industries may need them. Others will build the roads of the 21st century. Those who refuse will be transferred to an undisclosed location to undergo behavioural rehabilitation followed by resettlement. MMaWP will be headed by the Creator of all things seen and unseen, Peta Credlin. Through her all things are made. The Creator’s wisdom will be disseminated by the Knights of the Star Chamber – Brian Loughnane, Tony Nutt, Andrew Hirst, Mark Textor, Michael Ronaldson and Kevin Andrews. These six men meet around a table emblazoned with the Star of David to reflect our Judao-Christian heritage. Appointments have been made on merit. Two Archanglers will head up Operation Corporate Marauders. 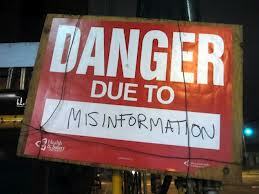 Scott Morrison will be in charge of Misinformation. He will give a weekly briefing though, due to concerns about wealth security and diplomatic relations with other companies, the time and place of these briefings will be kept secret. Greg Hunt will head the Wealth Protection program. He has had 175,000 rubber stamps made and will be sending them to those who are in the top 1% of income earners. This will save an enormous amount of red-tape as developers and entrepreneurs can be self-regulating. Advising the Archanglers, there will be a Coalition of Cheaters. Joe Hockey has a team devoted to getting blood out of a stone. Discarded stones will be washed away by the rising tide. Middle-class stones will be put on orange life-rafts while they regenerate more blood for harvesting. Diamonds will be given a transfusion and accommodated on a fleet of custom built yachts. Malcom Turnbull will advise on how to sell things you wouldn’t buy. 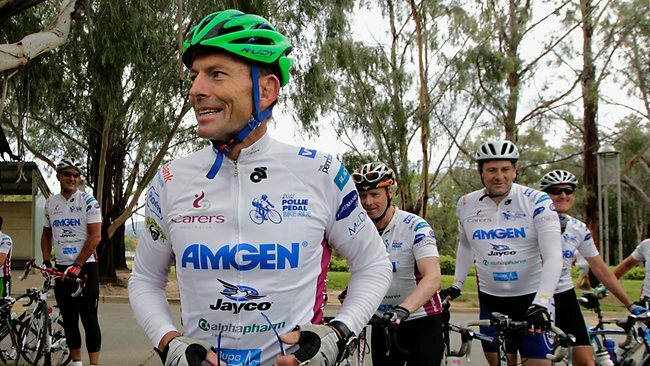 Andrew Robb has been charged with protecting the wealth of pharmaceutical companies so they can continue to contribute to the Pollie Pedal ride. Julie Bishop will be in charge of grooming. It is understood that she has a memorandum of understanding with Armani to provide uniforms for MMaWP officials. She will also instruct in deportment and the importance of making eye contact. Christopher Pyne will give back-to-basics direct instruction on indignation. Anthony Mundine will advise about Aboriginal Muslim sports stars. Bronwyn Bishop will act as interpreter and mediator. Tony Abbott will be the face of the MMaWP, available to travel anywhere for a photo opportunity. Audio will not be allowed. Banks and Private Health Insurers will remain outside the purview of the Ministry. Perhaps the most courageous proposal of the MMaWP is to abolish the Australia Sale Act, paving the way for majority foreign ownership of Australia. They argue that privatising Australia would bring enormous wealth to a few people which will allow them to feed more serfs. Hungry serfs will find sweatshops off-shore. Concerned Aussies Gina Rinehart, Rupert Murdoch and Andrew Bolt have put together a partnership which is understood to have made an offer to keep Australia in the hands of Australians. Their Board of Directors, the IPA, have been in close negotiation with the MMaWP, and insiders have told AIMN that agreement in lack of principle has been reached. We will endeavour to keep you informed of reaction to, and progress on, this proposal. BUT, Who is going to look after the chocolate factorys? How do I put a picture in here, which desperately needs to be seen by the millions of devotees of Ms Miranda Devine, well known media tart of the right? The chocolate factories have already been looked after and we are looking forward to their ongoing involvement in the next Pollie Pedal Ride…oops tourism…silly me. I have heard that Tony is considering expanding to a pair of purple budgie smugglers. @Dave Eric-a-Wanker. Tasmanian ministry for chocolate fatteries. I am absolutely certain I don’t want to see that picture. Thanks anyway. Oh joy! Christmas is arriving early. Can’t wait to be fertilized. Lock out for the riffraff, storm the walls, man the towers. After all we are the chosen. I can see it all now bronze statue, laurel reef, portrait with Queen. Oh I go all tingly inside when the riffraff lie. In crestfallen pools at my feet. It appears that Morrison has mislead the house with his personal explanation. True numbers released in the Senate. There are more than the numbers in the newspaper article. Senator Ludwig. Documents been tabled, am backing up his assertion. Some promising ideas in this article and noting that I would seriously object to. I think it is important to acknowledge past mistakes and Andrew Bolt is certainly due one for the outrageous treatment he received over one of the finest pieces of journalism that you are ever likely to see in one of Rupert’s rags. And it is well past time that asbestos manufacturers were compensated and allowed to reestablish a fine industry shut down by stupid left minded eco-loons. If over 95% of us are going to be relocated into appropriate housing I say let use the best building material on the bloody planet in our ‘humpies’. If this was not all so true Kaye I would be laughing,but you have spelled out most of what we have coming for us. Welcome to Corporation America because the US middle class is worth about $38K per family and Australia`s middle class is worth around $143K per family. So Hockey has said that the G20 Treasurers wish to create a 2% growth adding $2 trillion to the economy globally. That`s how much they will nett when the Australian middle class is worth the same as the US middle class,$2 trillion and all from Australians. Very interesting article from the conversation thanks Jason. We are bit players in the capitalist scheme. The financial institutions will continue to increase their record profits. The mining companies will make what they can from our resources until mankind demands a move away from fossil fuels. Our wages are too high so only non-labour intensive industries will survive. Unemployment will skyrocket though figures will be disguised by reclassifying people. Hmmm… this Kaye Lee satire is sadly closer to the truth than make-believe. I would also suggest checking out the Transnational Institute’s vast array of resources http://www.tni.org/ is indispensable for understanding how Australian domestic politics has been hi-jacked for the purposes of multi-national corporations. In Australia we have the Neo-feudalist IPA adhering to the fascist von Hayek’s agenda to dismantle democracy and trash society so that we are just plebs, at our happiest watching sport… Blah, Blah, Blah… You know the Tony Abbott spiel came from somewhere. Just like Hockey’s lame rising boat analogy. A slight tangent, if I may, but it is a curious thing that the parents of Andrew Bolt and Janet Albrechtsen migrated (by boat one assumes) to escape the devastation wrought by fascism in Europe by World War II. And to show their appreciation Andy & Janet express their thanks by contributing to the rise of fascism in Australia. Gee, thanks Andy & Janet… although I suspect Adelaide also has a lot to answer for! Perhaps all is not lost! Ain’t that the truth Kaye. In the interests of sharing the wealth, I have a sure-fire moneymaking scheme for our loyal readers. It has been shown that if you buy shares in any company whose logo appears on Tony’s lycra, you are certain to make money. If we pay extra do we get use a hot iron to brand a logo on a strategic part of his budgie smugglers while he is wearing them. I will check with the women of Australia and get back to you on that allen but you would have to pay extra for the carbon tax. You know the Tony Abbott spiel came from somewhere. Just like Hockey’s lame rising boat analogy. Indeed! One must entertain the notion that the IPA agenda is the only ‘policy’ framework that guides the Abbott government. Most of the people however have little or no understanding of the IPA ‘history’ or its basic (philosophical) ‘assumptions’. God Kaye I just keep getting cats. “The education minister Christopher Pyne has promised to review the Gillard Government’s National History Curriculum. But the curriculum doesn’t need to be reviewed. It needs to be scrapped. To make really big bucks I think selling a kidney is the way to go. While people in India and the Philippines get US$1,500 to $2,000 can you imagine what a neoconservative would pay for a kidney from a white heterosexual male. Be worth at least $10,000 plus a full Disability Support Pension. Not only that I can see most our redneck xenophobes getting greedy and selling both. Well now that Kaye Lee has officially become the voice of IPA/ LNP local branch of the global cabal of Rupertismology detailing the every mans guide totaling friends and influencing nobody. Thank you AIMN for this early warning heads up of the map. How is sending jobs offshore, good for the Australian economy. By the way, the PM deeply regrets. Bernie Sanders is awesome. We need a few of him. Very good! But didn’t Murdoch have to forego Australian citizenship to become a US citizen?? Nice piece Kaye Lee and an interesting Conversation article (thanks Jason) I haven’t been keeping tabs on ‘The Conversation’ nearly closely enough since retiring from the fray. Noting that Andrew Self (author of the Conversation article) named the IPA as an example of a local affiliate of the transnational masters of everything reminded me of their ‘Think like Gough’ list of 75 ways to wreck Australia http://ipa.org.au/publications/2080/be-like-gough-75-radical-ideas-to-transform-australia Watching recent responses of the Abbott puppet theatre to industrial collapses – SPC Ardmona, Alcoa, Ford, Toyota Qantas etc – the attacks on the ABC and other events, the correspondence with the IPA hit list struck me. It occurred to me that now that if the IPAs links to transnational capital can be established, it puts an interesting new perspective on whose interests are top priority for Australian government. It would be interesting to keep a running score of how the Government is going with the IPAs agenda. If anyone is interested in knowing who is setting the agenda for this government you might be interested in the IPAs Board of Directors see below and apologies in advance for dumping so much stuff in a comment. Prior to his employment at the IPA, Roskam was the Executive Director of the Menzies Research Centre in Canberra. He has also held positions as Chief of Staff to Dr David Kemp, the Federal Minister for Employment, Education, Training and Youth Affairs, as Senior Advisor to Don Hayward, Victorian Minister for Education in the first Kennett Government, and as Manager of Government and Corporate Affairs for Rio Tinto Group. Can’t find any sign of Janet. Dr Harold Clough AO, OBE, Cit WA; Son of the founder of Clough. Clough is an engineering and project services contractor servicing the Energy & Chemical and Mining & Mineral markets in Australia and Papua New Guinea. Our services range from early concept evaluation and feasibility studies through design, construction, commissioning and long term asset support and optimisation. Michael appears to be a self employed consultant in the minerals and energy sector residing in the Melbourne area. Hickinbotham has strong links to the Liberal Party. Geoff Hone is a special counsel in the corporate group of the ‘leading international law firm’ Ashurst in the Melbourne office. Geoff practises in company law including takeovers, mergers and acquisitions, corporate governance, public issues, and securities regulation generally. He has been involved in some of Australia’s most significant commercial transactions, including the takeover bids for BHP by the late Mr Robert Holmes a Court’s Bell Resources Limited (acting for Bell) and the attempts by Harlin Holdings to gain control of Elders IXL Ltd/Foster’s Brewing Group Ltd (acting for Elders). More recently, he has been involved in the proposed takeover bid by BHP Billiton for Rio Tinto. Geoff is ranked as one of the world’s leading practitioners in corporate governance by Who’s Who Legal and Euromoney’s Guide to the World’s Leading Corporate Governance Lawyers. William is the Portfolio Manager of Intrinsic Investment Management, Melbourne Area, Australia see also: Titan Capital Pty Ltd. He has also been involved with: Telsol Pty Ltd (Electronics), Mirvac Group Ltd, Kinhill Engineering. He was educated at RMIT. Maurice joined the Powerwrap board and was elected (non executive) Chairman in March 2012. He has over 25 years experience in Financial Services, gained mostly in the funds management industry. Having started his career as an Economist with the Federal Treasury, Maurice spent 23 years working for BlackRock Asset Management in various senior funds management roles based in London, Hong Kong, Singapore and finally as CEO of BlackRock Australia, a position he held until the end of 2010. He sits on a number of Boards. Powerwrap is an independent financial services company that provides expert investment execution, investment reporting and tax management for Financial Advisers. The Powerwrap service is fully compliant with the Government’s Future of Financial Advice (FoFA) reform agenda. With access to over 1,000 managed funds, separately managed accounts, term deposits, insurance products and direct equities, Powerwrap facilitates the execution and administration of all client investments online. Aged Care Queensland boss Allan Pidgeon, a former state Liberal candidate who was once embroiled in an election campaign scandal with Senator Santoro, yesterday admitted to lobbying his “old friend” while he was in the Howard Government ministry. Mr Pidgeon, thanked for his loyalty by Senator Santoro in his maiden speech to the Senate in 2002, earlier this year even wrote a letter to a local newspaper attacking Labor for its “alarmist” criticism of the aged-care sector and Senator Santoro. Gee. I didn’t know ‘Carers Australia’ was a money making concern. Who’d have thought that my ‘job’ ( which I get $118 pf) was worth money to Abbott! I loathe and resent his sporting the carers logo on his lycra when he is hell bent on vilifying ( as bludgers and rorters) those who we, carers, care for! Your article, Kaye, is terrifying. So close to the bone I can see the nerve endings exposed. “An Australian employee of the G4S security firm on Manus Island says PNG police stood back and allowed locals to break into the compound last month, did nothing to stop them beating detainees, and in some cases participated in the violence and intimidation. His claim, made on condition of anonymity, contradicted a leaked PNG police internal incident report into unrest at the detention centre on February 17 that describes the deadly violence as a confrontation solely between G4S security guards and asylum seekers. The Australian G4S employee witnessed “a frenzy of out-of-control violence”, telling the ABC that after a second night of protests at the detention centre, G4S staff under attack from rock-throwing asylum seekers asked to withdraw from the facility and agreed to hand over security to PNG police. The source says PNG police then fired five or six warning shots and stood back as enraged locals poured into the compound over a back fence. “We saw them going in with machetes. They had anything they could pick up – rocks, sticks, the poles from the exercise weights,” the guard said. “Once they knocked people to the ground, they were stomping on their heads with their boots. One of the injured asylum seekers has also detailed what happened to him in an interview recorded from hospital a few days after the attack. According to the RBA and Joe Hockey’s MYEFO document, Gross debt as at 30 September 2013 was $280 billion. can I ask the question again ? Who the hell voted for these people ? They must be hiding under rocks somewhere. Lots of ordianry Austrlaians did, are they all complete morons ? Or just gullible ? I love the piece, but am frightened by it as well. Can we survive 3 years before we can vote them out ? will it be too late ? How much of the country will be salvageable ? Keep up the good work, keep on with the truth, keep on rubbishing the lies we are being fed. The AIMN keeps me going, keeps me sane. “The-Coots-With-Queer-Ideas-From-A-Parallel-Universe” (IPA) need to have their donor base investigated and exposed. The level of influence they have had so far literally makes them the government as most of what “Abbott-the-Hun” has instituted has been on their agenda. ABC,SBS, Australia Post, CSIRO, and others mentioned here back in Feb 2013…: http://shanewombat.blogspot.com.au/2013/02/and-theyre-running.html …..Who pays the Piper his tune we play….these policys being enacted by “Rabbott” were not part of his platform and therefore cannot be considered as having any mandate. This is an interesting article about IPA funding. Donations to them are tax deductible. To get that status that had to promise that the donations were being used for scientific research. The conditions were quite specific. There seems to be a good case for taking away their “deductible gift recipient” status. Let’s see if Gina still wants to keep funding them if they aren’t a tax deduction for her. Get rid of the Speaker of the house. Then get rid of the rest, starting with the P.M.
King Abbott the Leader of the new Capitailst Party. Roll on selling our businesses and attacking workers as though we are the cause of continual Government mis-management. Oh by the way, in NSW 14000 Public servant jobs are being axed in the Disability Services under the NDIS privtiasation debacle. Add this to Qantas, motor vehicle manufacturing and further off-shoring of everything imaginable.